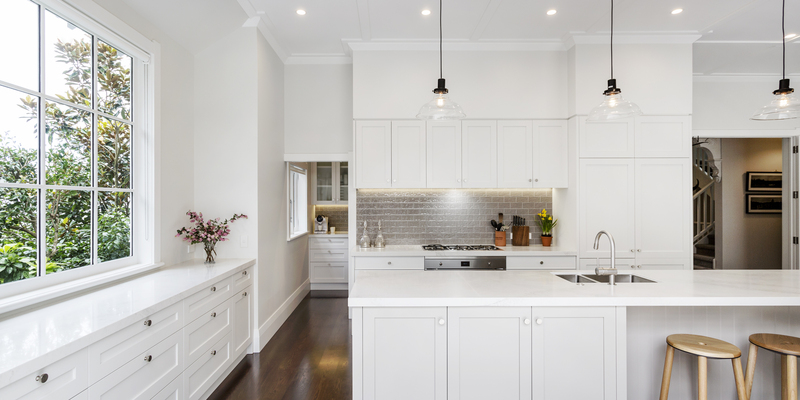 Kitchens By Design | Kitchen Design for Discerning Clients : Horoeka Avenue. 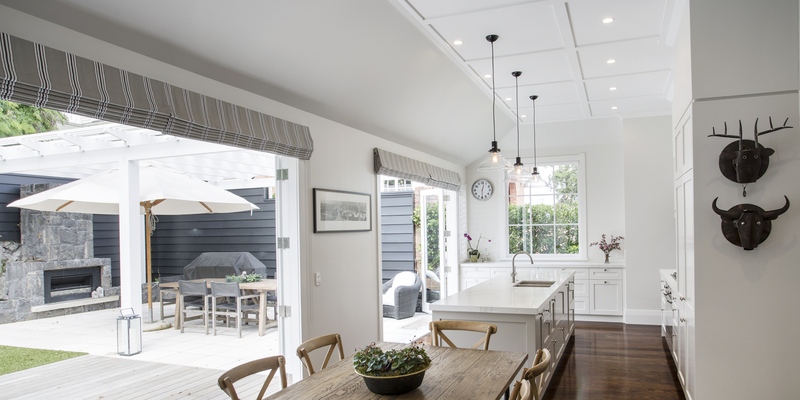 This beautiful villa in Mt Eden is a statement house that has been immaculately renovated, and the owners wanted a country kitchen that would fit right in, both in terms of style and quality. 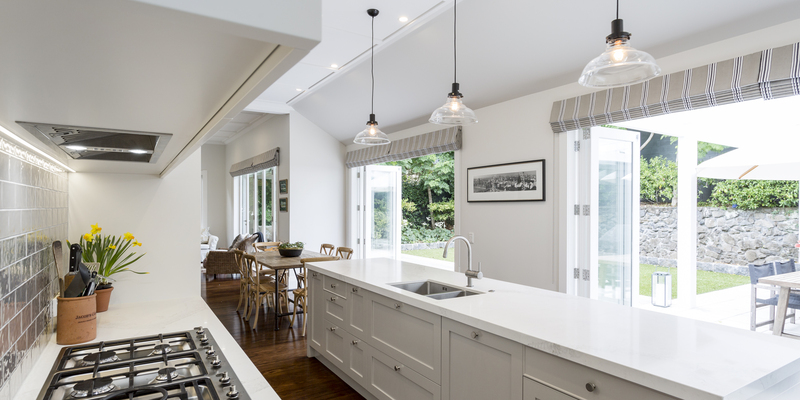 In keeping with this style, the cabinetry features frame-and-flat-panel doors and drawers. 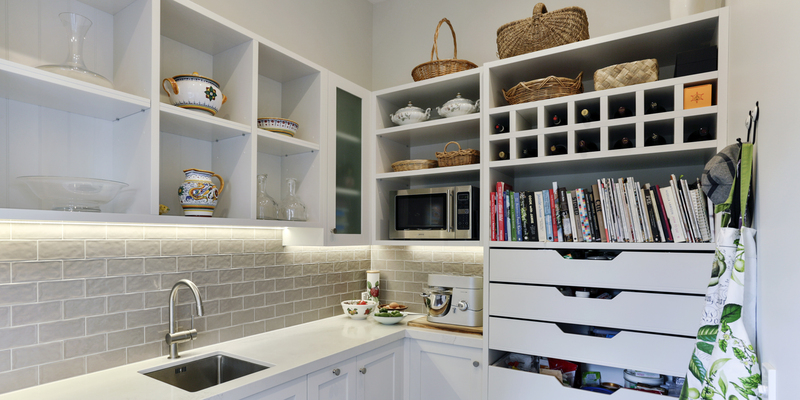 And to maintain the classic feel, appliances are integrated within the cabinetry wherever possible. The choice of colour was very important. 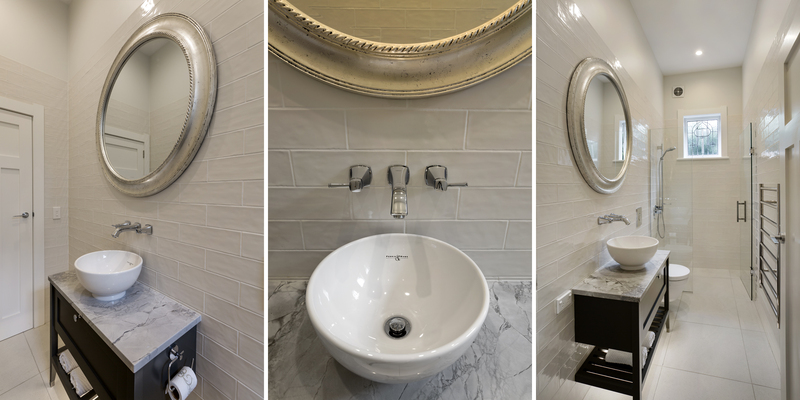 We didn’t want it to look too stark, so the palette is soft greys and whites. 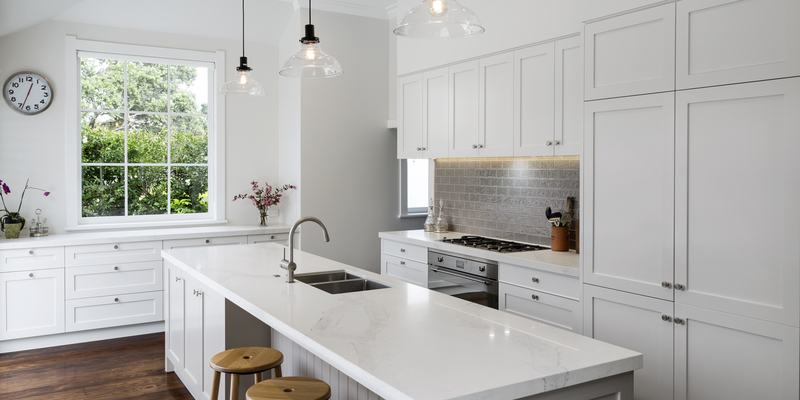 The island is a slightly darker grey and the Caesarstone engineered stone benchtops are white, with subtle grey veining. 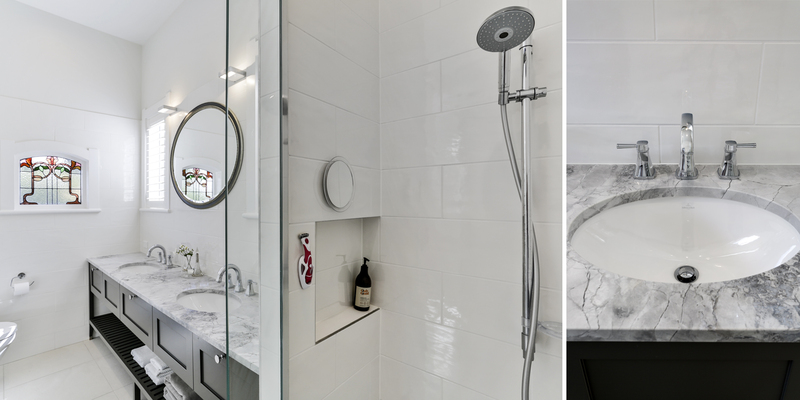 To introduce a little texture into the mix, the splashback features glossy, textural brick tiles. 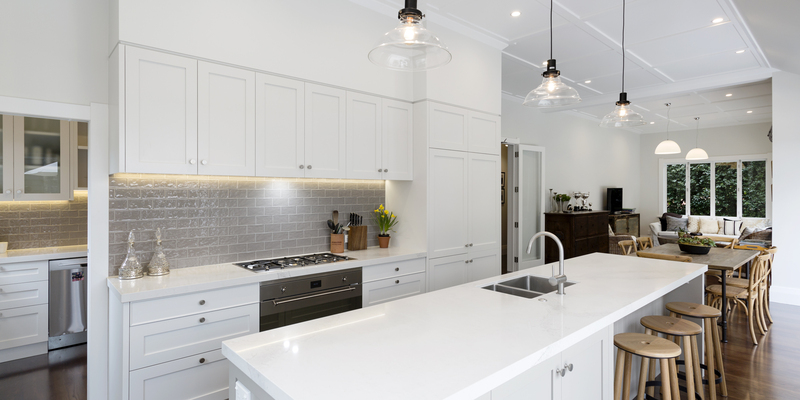 The scullery, which is directly behind the kitchen, is like a mini kitchen, complete with second sink, dishwasher and plenty of bench space and storage for small appliances, cookbooks, wine, food and baking equipment. The cut-outs in the open drawers emulate traditional pantry drawers. 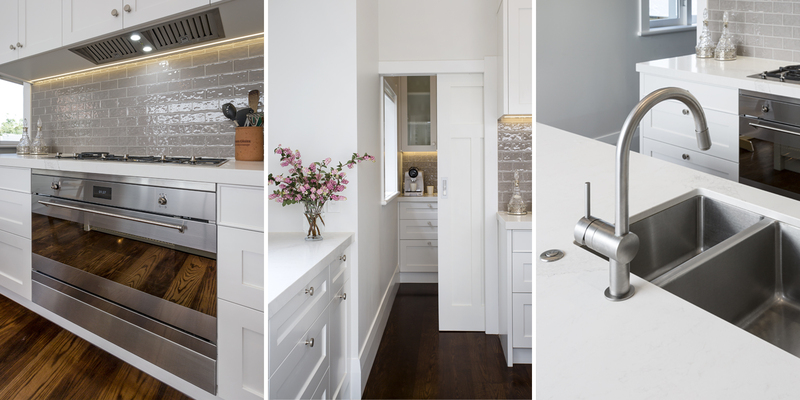 To maintain the classic feel, appliances are integrated within the cabinetry wherever possible.